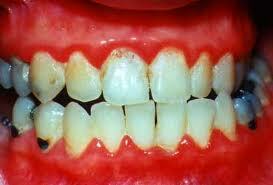 It is an infection in your gums caused by the bacteria in plaque, a soft film that forms on the teeth. 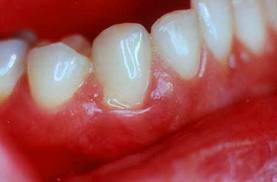 Left untreated, it can lead to tooth loss and extensive infection which can affect other areas of your overall health. The bacteria that develops from poor and inconsistent oral home care along with lack of regular professional dental cleanings. 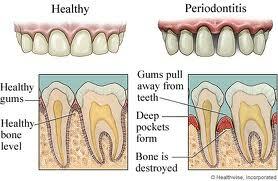 is the first stage of gum disease. The gums may become mildly sore, be red or puffy and you may notice bad breath or a bad taste in your mouth. The gums may bleed during brushing or flossing. is the next phase of gum disease. The gums begin to pull away from the teeth and bone, allowing plaque to invade the roots, tissue and bone. You may notice a bad taste in your mouth, experience painful gums and increased swelling. 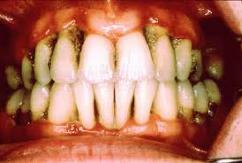 is the most established and severe phase of gum disease. 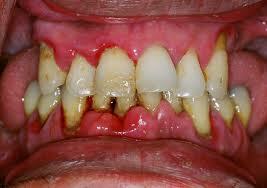 This is the phase that can occur when earlier stages of periodontal disease are left undiagnosed or untreated. The tissue and bone which hold the teeth in place are destroyed by bacteria and infection. You may notice a change in the way your teeth fit together when biting and a pus-like substance between the teeth. Teeth become loose, painful and usually require removal. The bacteria and infection that occur can cause additional problems with your overall health. Upon diagnosis of gingivitis or periodontal disease by your dentist, she will recommend scaling and root planing treatment (deep cleaning). This treatment requires numbing of the local areas allowing the hygienist to thoroughly clean the deep pockets between the teeth and the root surfaces. The dentist will give instruction for specialized home care and recommend the treatment be followed up with more frequent periodontal cleanings, usually every 3 - 4 months. The dentist will also strongly recommend the avoidance of tobacco products, which constrict the blood vessels in the tissue and inhibits proper healing. It is vitally important to work closely with your dentist during the treatment of all stages of periodontal disease. Prevention and early treatment is key. The dentist can give you the tools and knowledge necessary to maintain strong teeth and healthy gums in the future. Please feel free to contact us with any questions, concerns or to schedule an appointment!